Designed for reliable consistency and accuracy, FISHER® professional walk-behind spreaders are built to handle extreme winter conditions in Reading year after year. 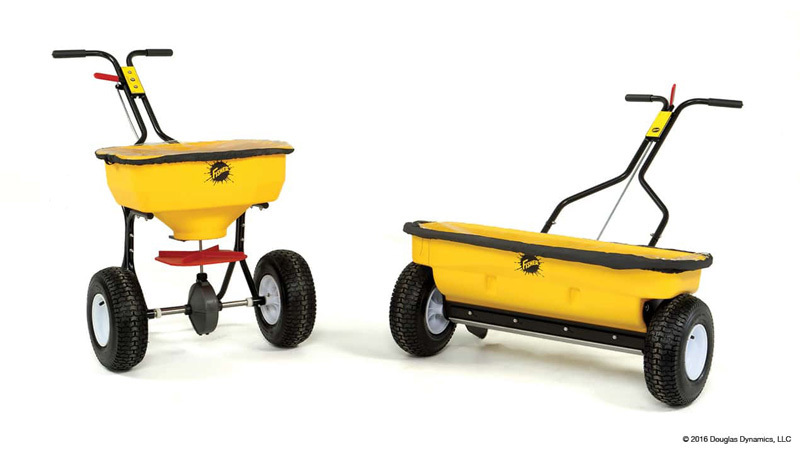 Our walk-behind spreaders feature sturdy construction and corrosion-free polyethylene and are ideal for walkways, short driveways and store entrances. Whether you're drop spreading along narrow walkways or broadcast-spreading across wider areas, property and facility managers can make quick work of ice control each winter.